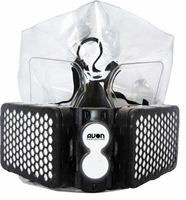 Avon has a strong heritage in designing and manufacturing respirators and combining this with the wealth of experience within the workforce it has secured Avon's position as the world leader in the design, development and manufacture of specialist and general personal respiratory protection solutions for a range of CBRN applications. Avon Rubber p.l.c. 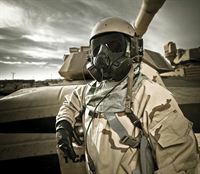 is a world leader in the design, test and manufacture of advanced CBRN respiratory protection solutions to the world’s military, law enforcement, first responder, emergency services, fire and industrial markets. 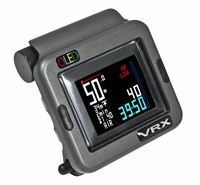 Avon has a unique capability in CBRN protection based on a range of advanced CBRN technologies in respirator design, filtration and compressed air breathing apparatus. This enables Avon to develop specialised solutions that take full account of user requirements. Avon Rubber p.l.c. also owns Avon Engineered Fabrications manufacturing products including hovercraft skirting and flexible storage tanks and a world leading dairy business manufacturing dairy liners and tubing. 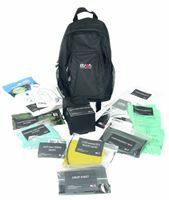 Avon Protection, part of Avon Rubber p.l.c, will be demonstrating their range of market leading PPE products, services and project capabilities for military, law enforcement, first responder and commercial markets worldwide. “I am honoured to join Avon, having worn and trusted Avon Protection respiratory products throughout my career in the British Army and subsequently in Syria and Iraq. Avon’s products are a cut above anything else currently offered on the market, providing ultimate protection, comfort and the flexibility required by users across all markets.” De Bretton-Gordon says. ‘’This comprehensive service will give major event organisers a cost effective means of providing comprehensve CBRN & HAZMAT protection for their events, safeguarding the public and their employees in the current challenging environment of terrorist threats’’ De Bretton-Gordon remarks. Avon Protection, part of Avon Rubber p.l.c, has acquired SecureBio Ltd., the specialist CBRN consultancy it partnered with in 2014.The acquisition of SecureBio strengthens Avon’s position as a market leader in CBRN protection, and provides a pioneering in-house consultancy service offering specialist risk management, security and training packages to the commercial, media, insurance and counter-terrorism markets. This acquisition is a significant step for both companies and will deliver end-to-end, customised services through the newly formed ‘Avon Training and Consultancy’ provision.